Assemble your control room. 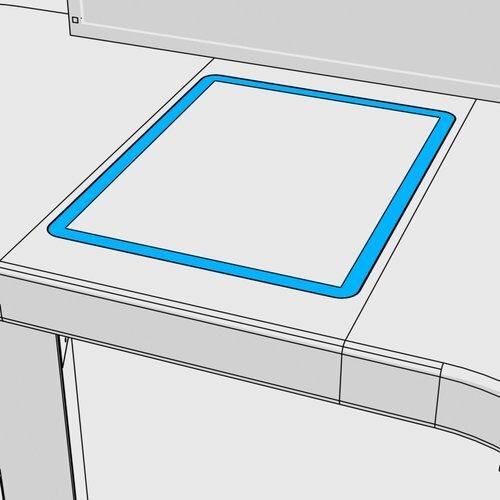 Choose a shape for your console that matches your operations. Cell-shape - for complex operations that require interactions between several operators. 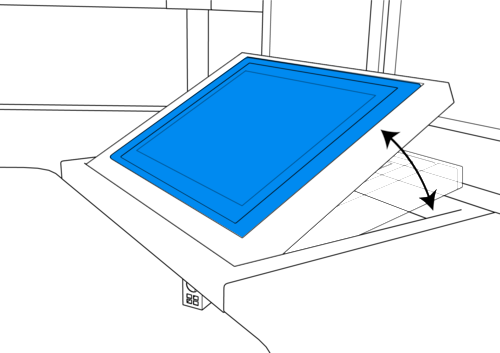 The console is built around the concept of a curved tabletop with one central operator position. 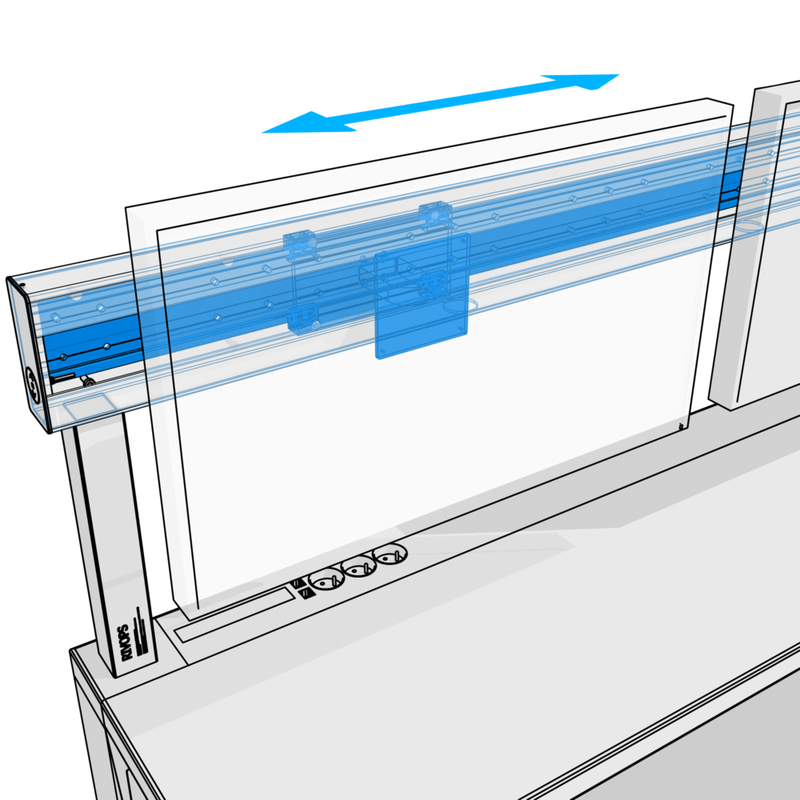 Additional rail-mounted monitors (24, 27, 30 and 34-inch) define a comfortable screen resolution for the process to be monitored & controlled. During critical operations, the slightest detail or improvement does make the difference. 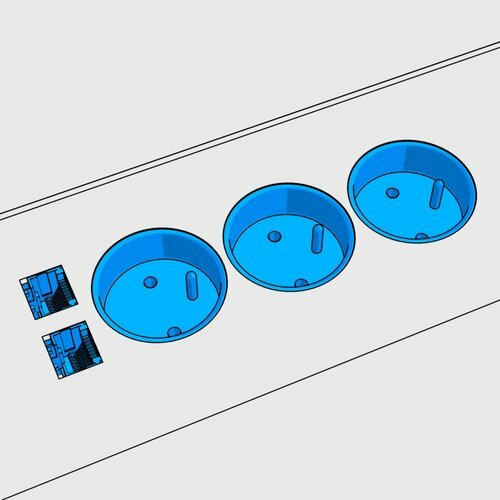 Ask your operator to get in involved during this control room design. Would you like to include a remote access to your data server? 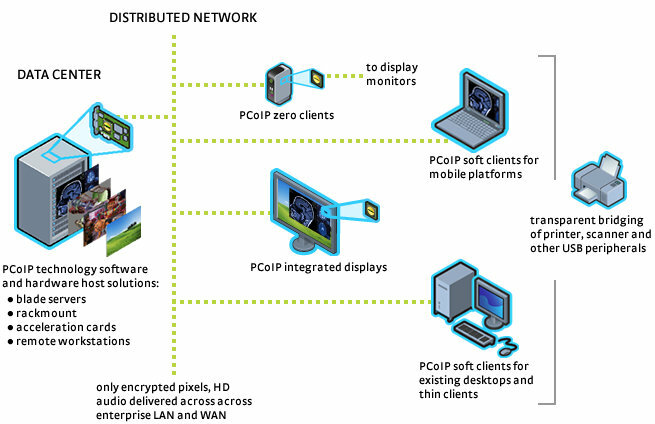 This ThinClient solution uses the PCoIP protocol to transmit pixels over the internet or a private network. The bitrate transfer is increased via hardware using a host and client card. Connect up to four monitors to a single ThinClient. PCoIP technology also provides virtual ThinClients (ZeroClient) Solutions with a monthly subscription. Download the latest Host and ZeroClient firmware updates and User Manuals. Select a console shape that matches your operations. Choose a comfortable screen resolution that fits you UX design. Tablet computers now play an essential role in the control room. For eg. touch capabilities for the VoiceMatrix system. TouchMatrix to choose from a list of fault scenarios. Equipment according to NORSOK standard require a special grade of computer equipment. Include special goodies on demand. Select the country's electrical standards for power plugs & current compatibility. Where should the console be delivered? What type of packaging is required? Receive the quote in chosen currency. Your console is about to be manufactured. We shall get back to you shortly with acost proposal + delivery date.